Sheep love company. Researchers have found that sheep can remember the faces of 50 other sheep for at least two years. Like humans, sheep also seem to find familiar faces comforting. Researchers found that when sheep were socially isolated the sight of familiar sheep face pictures compared with those of goats or inverted triangles significantly reduced behavioural and physiological measures of stress . Researchers have also found that sheep can recognise emotions in facial expression, not only in their species but also in humans. Dr Keith Kendrick at Cambridge University and colleagues have discovered that sheep prefer smiling or relaxed human faces, over angry or stressed ones. Scientists presented the sheep with two doors they could push open to gain food. On one would be a picture of a smiling human or a happy sheep, on the other an angry human or a stressed out sheep. “They vastly preferred to press the smiling human or the animal that has just had a meal and is feeling all right with life,” said Dr Kendrick. When there is no common verbal language between people we can look at a person’s facial expressions and use these to assess how he or she is feeling. Expression of emotions in humans has been extensively studied through changes in facial features. Of course the more different an animal and its’ face is to a human the more difficult this method becomes. 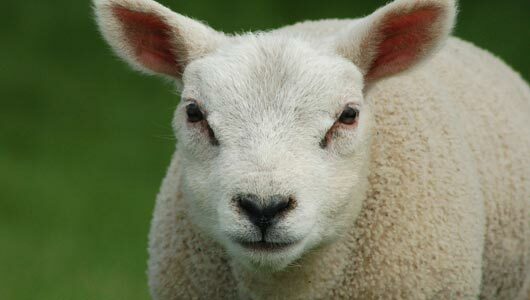 It has been shown that individual recognition in farmed animals such as sheep and cattle is partly based on facial features. Researchers have now borrowed techniques used in human psychology to study sheep’s facial features and postures and attempted to find convenient physical indicators to reliably infer their emotions. Compared to other mammals sheep have more simple facial muscles and thus don’t appear to have a wide array of facial expressions. However, they do have several muscles for rotating their ears. The researchers investigated whether measuring ear postures in sheep could be used to accurately infer their emotions . Previous studies have shown that sheep appear to have the potential to feel a wide range of emotions, including fear, anger, rage and despair. The researchers now found that they could link specific ear postures with specific emotional experiences. For example, the backward ear posture which is associated with unfamiliar and uncontrollable unpleasant situations could express fear, the raised ear posture displayed in response to an unfamiliar but controllable unpleasant situation could characterise anger and the asymmetric ear posture that is mainly displayed in response to sudden situations could express surprise. These findings support the intuitive knowledge of people such as farmers who work closely with sheep and have learnt to understand their expressions. The researchers believe it’s safe to assume that sheep do not only show emotions but also ‘feel’ them too. The researchers noted that interpretation of ear postures could be used to assess and improve farming practices from the viewpoint of sheep by helping us to understand what a given animal is feeling at a certain time. Also, findings from assessment of emotional states in sheep may be readily transferable to other closely related prey species. Other scientists take a more holistic approach to assessing how animals are feeling by looking at their whole bodies and behaviour rather than focussing on certain features. This experiment, and other like it, show that by adapting and applying models developed for humans in a manner appropriate for each different species, we can increase our knowledge about the emotions other animals can feel.